History*, Birth Of An Art Center, and Touchstones here. See TAC Artists landing page for Events and Studios! We are grateful and proud to live in this place which, not only beautiful, has a depth of history - geographical, engineered, and human - which we are inherently a part of. 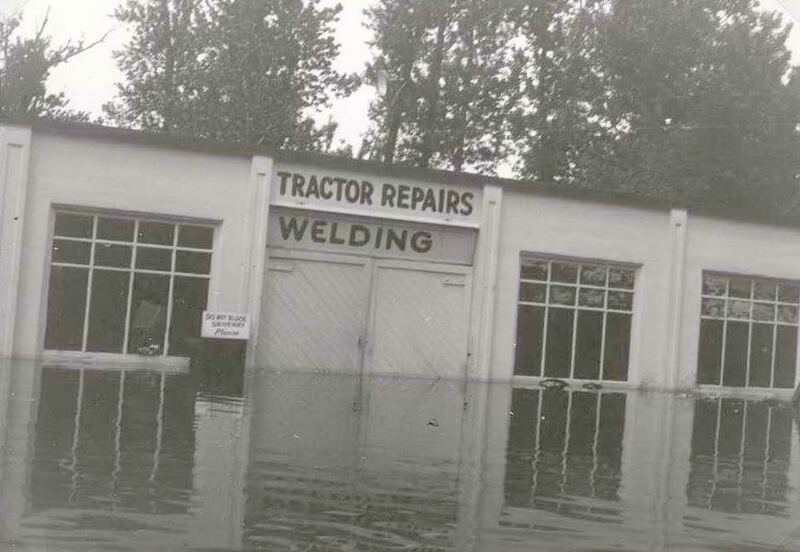 Located at the beginning of the Historic Columbia River Scenic Highway, we are actively researching the historical context of our little place in the world nestled by Beaver Creek and the Troutdale Bridge. 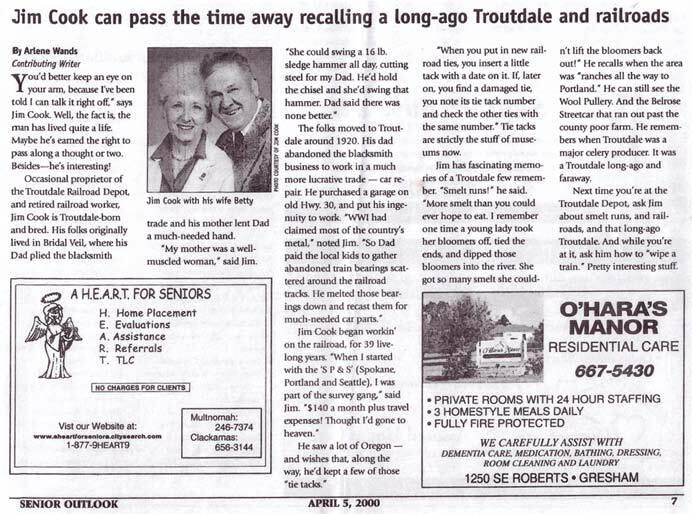 Thank you to the Troutdale Historical Society, with an extra shout out to Len Otto and Sharon Nesbit for their quick response in getting us the pictures and articles below. 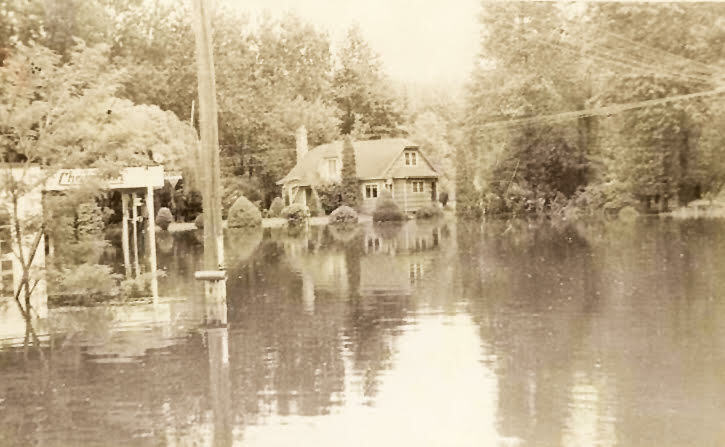 The 1948 flood landed our building in the middle of Beavercreek. 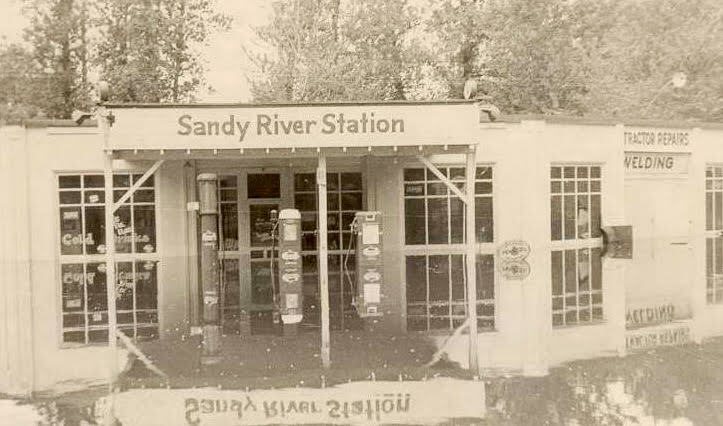 Sandy River Station incarnation of the building. Note Len's talk was last year, but check with the Library, there might be something equally amazing 2019!